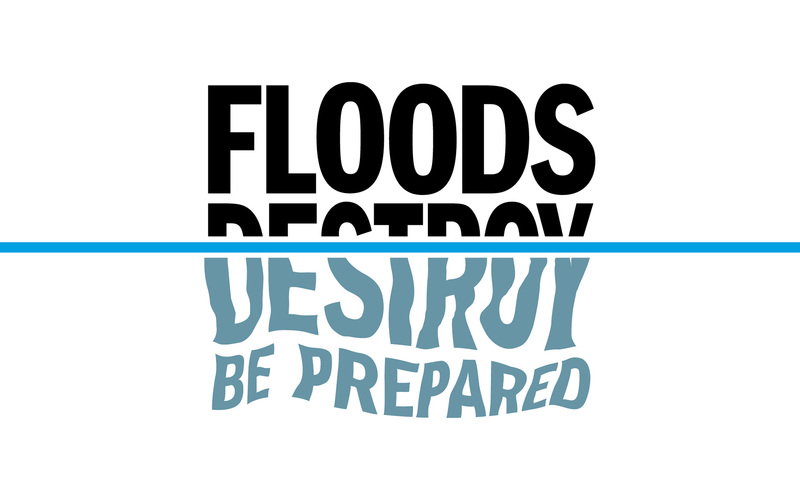 A total of 5.5 million properties in England and Wales are at risk of flooding. 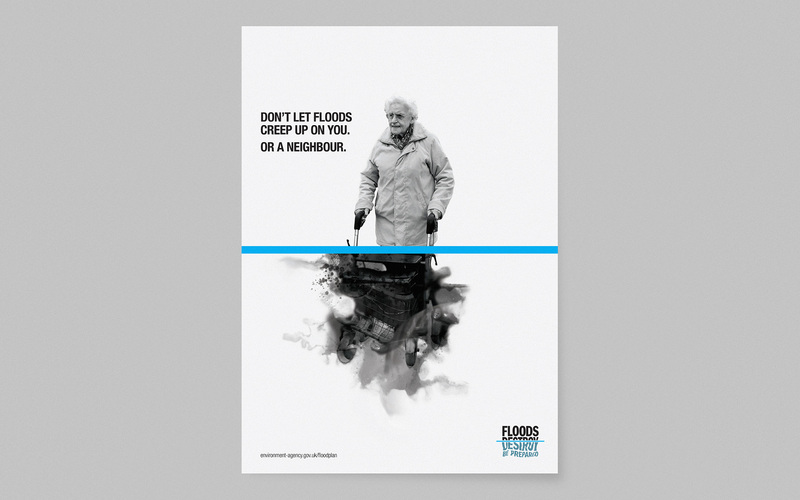 But only 7% of people in communities at risk of flooding think that they are in danger. Our goal was to help the Environment Agency persuade people to be well prepared, and in doing so increase levels of resilience. The Environment Agency wanted to create a campaign brand that could be used by community groups across the country to change behaviour in their region. Through extensive research and consultation with stakeholders and community groups, our strategic team observed how few marketing skills and resources they all had access to. If this project were to be a success the brand would need to be brutally simple and easy to deploy. 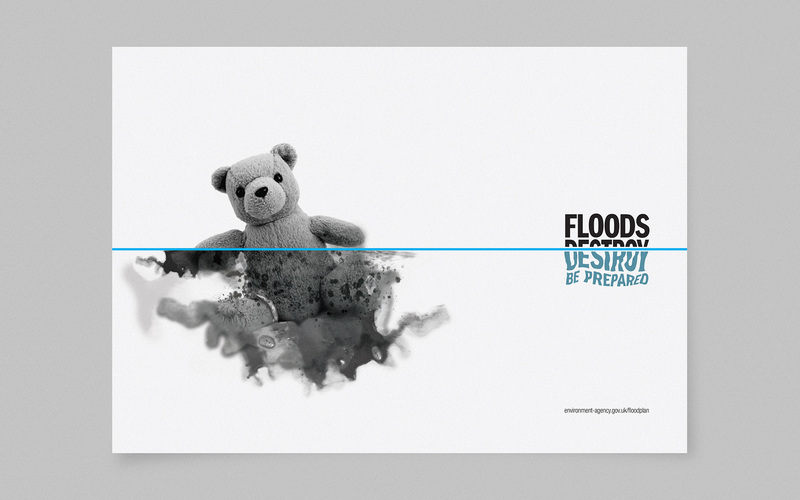 Taking this observation on board, our creative team found inspiration in floodlines. 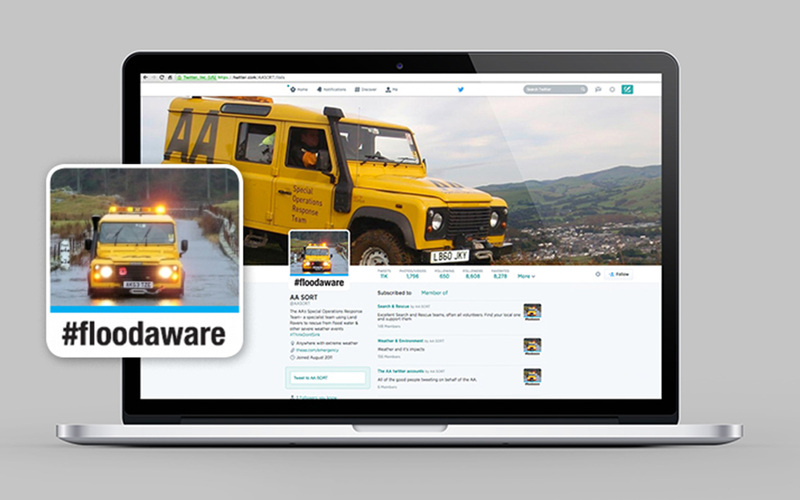 We developed a brutally simple but bold floodline, which was used as a branding device across all communications. 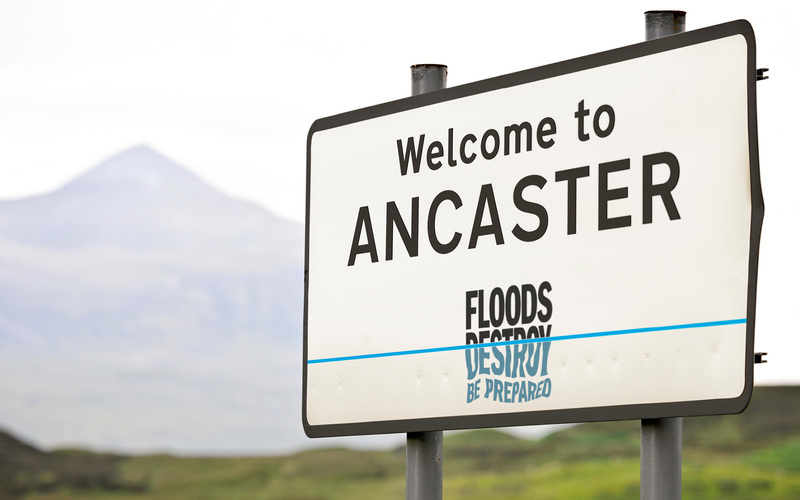 We also created the Floods Destroy name for the campaign, incorporating the floodline device into the mark. The simplicity of the idea meant it was easy and cost effective for local groups to use, even if they only had access to word processing software. To help them we produced a toolkit containing designs and assets for a wide range of communications materials - including advertising, digital media, literature and ambient activity. 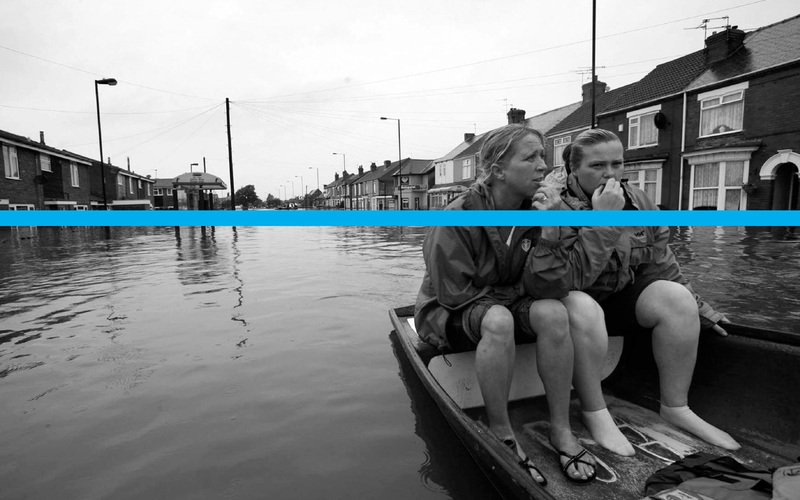 The Floods Destroy brand — and blue line device — has been used by a wide range of organisations, turning previously disparate activity into a national movement.